I was going to say the same as Debby. 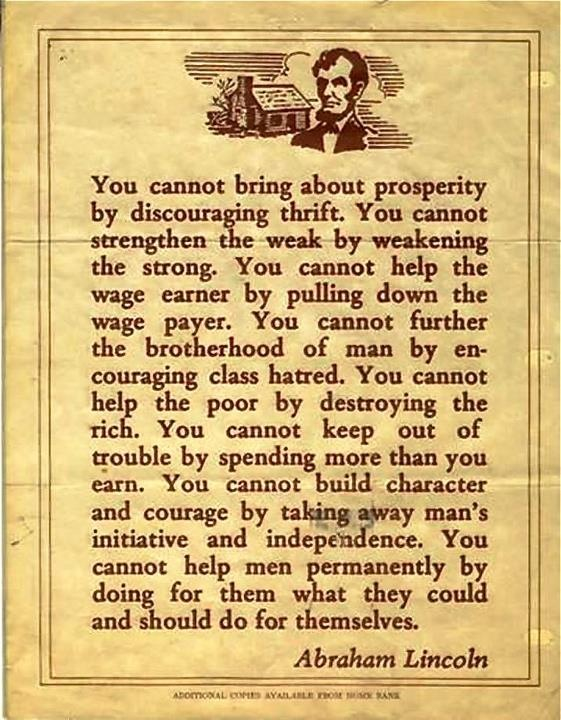 What an intelligent and practical man Lincoln was. This philosophy should be put into action now. I agree with you both. Cannot think of many leaders in govt today that resemble Lincoln. God, be Merciful to me. A Senior.